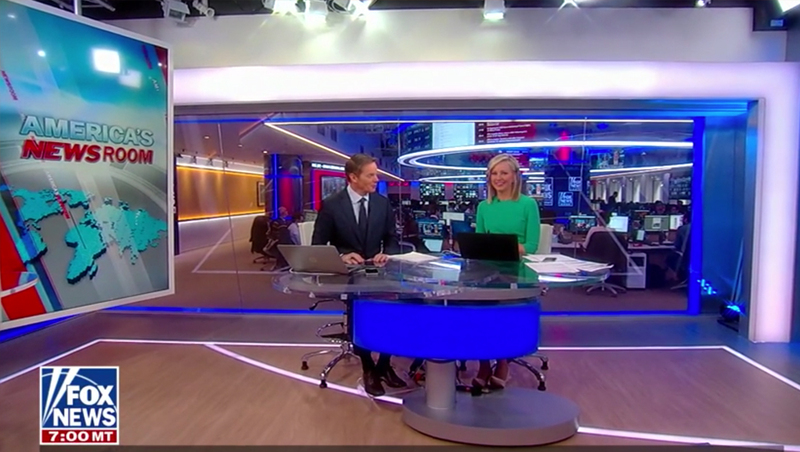 Fox News has started using its new newsroom studio, quite appropriately, for “America’s Newsroom” — though the move is only temporary. 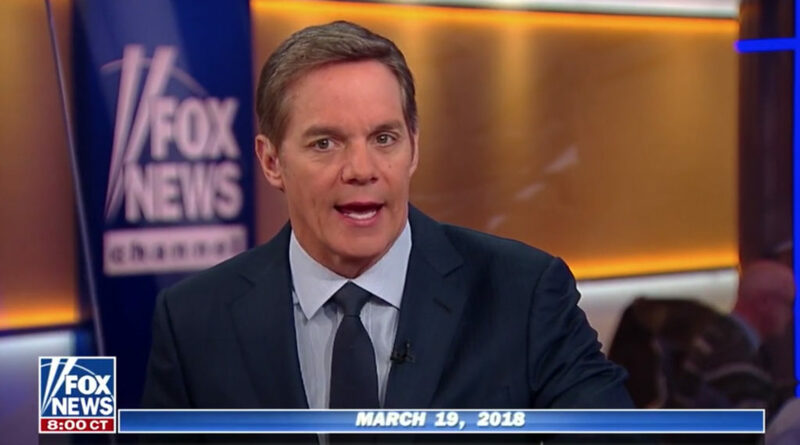 “America’s Newsroom,” a rolling programming block that airs immediately after “Fox & Friends” and hosted by Bill Hemmer and Sandra Smith, moved from its longtime home Studio J Monday, March 19, 2018. The move is only temporary, however, as Hemmer announced that Studio J is slated for renovations over the coming months. 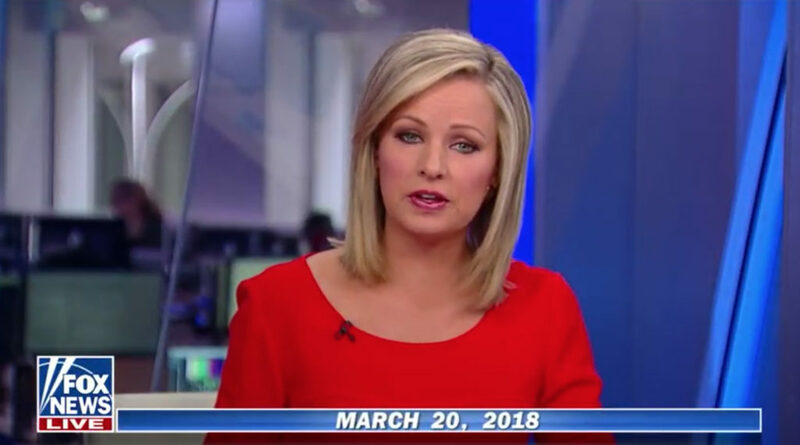 Fox News’ “Hannity” was also displaced due to the work, but is now using Studio F.
“America’s Newsroom” in Studio J on Friday, March 16, 2018. In the meantime, “America’s Newsroom” is originating from the small studio built next to the new Fox newsroom that opened in January, known as Studio N. Jack Morton Worldwide designed the space along with the new newsroom. 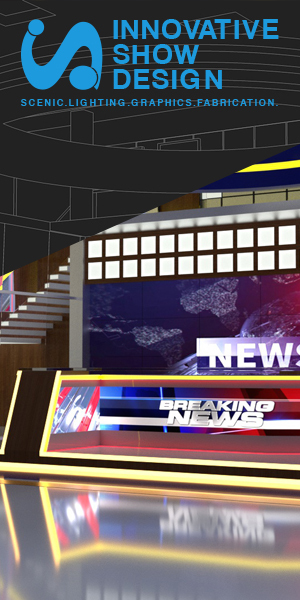 While the wide and two shots showcase the high tech newsroom background, the one shots don’t show off the newsroom workspace well — Hemmer’s is against a walkway wall with the Fox News logo while Smith’s shows a bit of the newsroom but is otherwise dominated with a combination of the newsroom wall, lit elements and glass wall separating the studio from the work area. The temporary set also moves Smith and Hemmer behind a more traditional anchor desk — rather than the two “pods” placed off to their side in Studio J. Studio J has a long history at Fox News that dates back to 2012. Its current layout draws its roots from the network’s temporary 2012 election set.